Our Banking legal team have advised HSBC UK on a £4m funding package designed to fuel Flame Heating Group’s expansion plans. The heating and plumbing merchant is expecting to more than double its workforce with the creation of at least 60 new jobs after securing the funds. The deal will also see the Gateshead-headquartered company, which currently employs 59 staff, launch several branches in the North East and enter new regions over the next three years. The HSBC UK financing was supported by Stuart Henry, Relationship Director at HSBC UK, and Mark Irving, Director of Newcastle-based corporate advisory firm Irving Ramsay. The company specialises in heating spares for commercial and domestic applications, renewable energy solutions and bathrooms, working with a number of leading, global manufacturers. 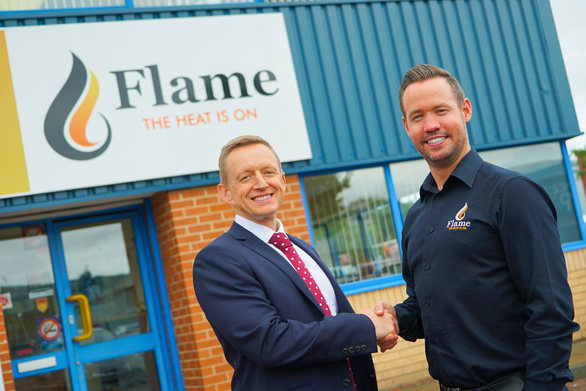 John Savage, Managing Director of Flame Heating Group, said: “We have enjoyed seven consecutive years of growth and are now in a position to drive forward our expansion plans. Our branch network has continued to thrive as a result of investments in our workforce, new services as well as emerging technologies, and this financing deal will strengthen the Flame brand further by allowing us to continue delivering on our ambitious strategies. To find out how our banking team can support your business, please contact Louise Duffy on [email protected] or call 0191 211 7946.